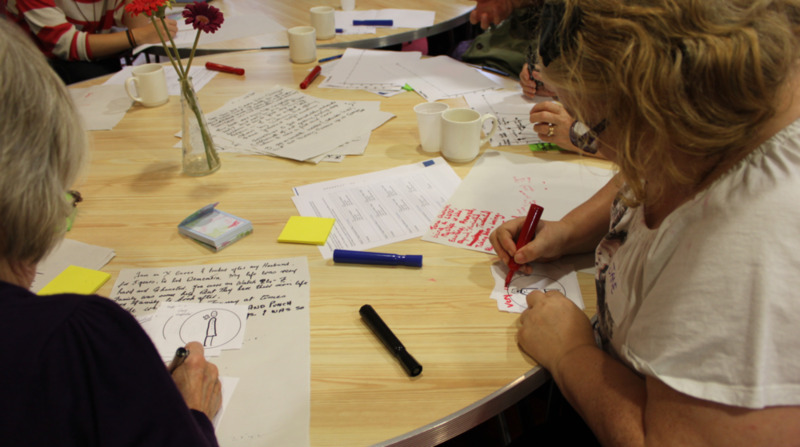 Choreography of care is a social innovation project created in partnership between IRISS (Institute for Research and Innovation in Social Services) and The Glasgow School of Art. Based upon a response to the Scottish Governments Reshaping Care for Older People Agenda we were asked to look at four themes, Reablement, Partnership Working and Communication, Social Isolation and Anticipatory Care. Our team was given Anticipatory Care, our approach meant that we took a different view from our practitioners on what anticipatory care is, making sure to define the difference between ‘prevent’ and ‘anticipate’. 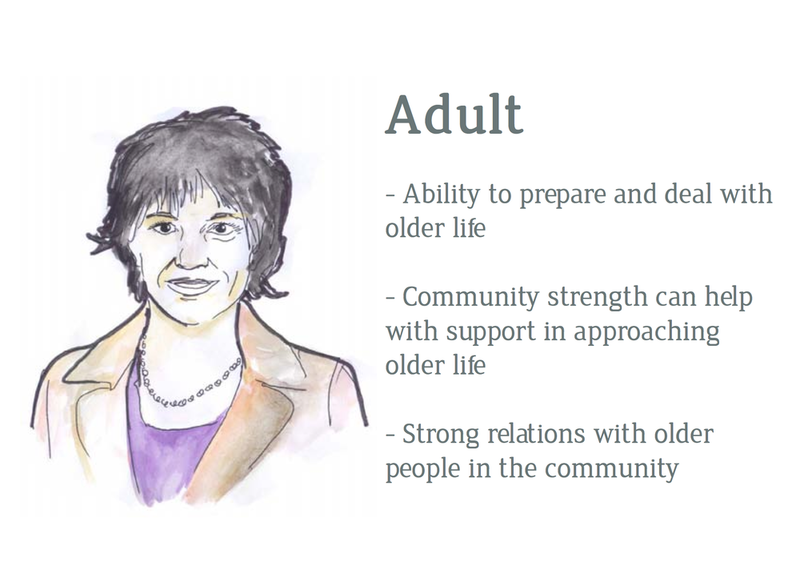 Our concept takes a very broad view of anticipation and focuses on increasing awareness of ‘older life’ in younger and middle aged people, in preparation for their futures. The approach developed is an inter-generational one, which aims to innovate policy as well as make practical changes on the ground in the local context. 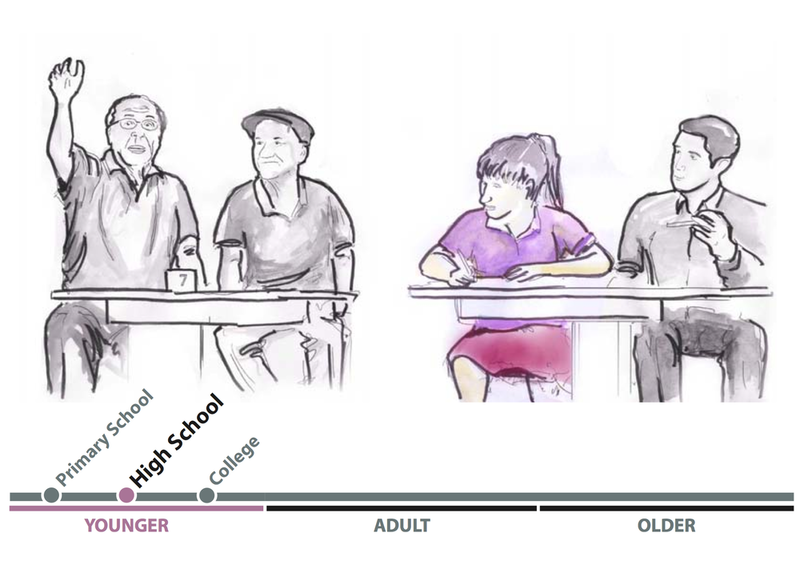 The crux of the idea is in using schools as a place for meeting and introducing the topic of older life, to break down preconceived judgments and allowing young and older people to begin to associate with one another, reinforcing the relationships in the community and building awareness between generations. This would be implemented through the Curriculum for Excellence education system and be carried on into high school and university – with the range of activities being undertaken changing to suit ages and interests. 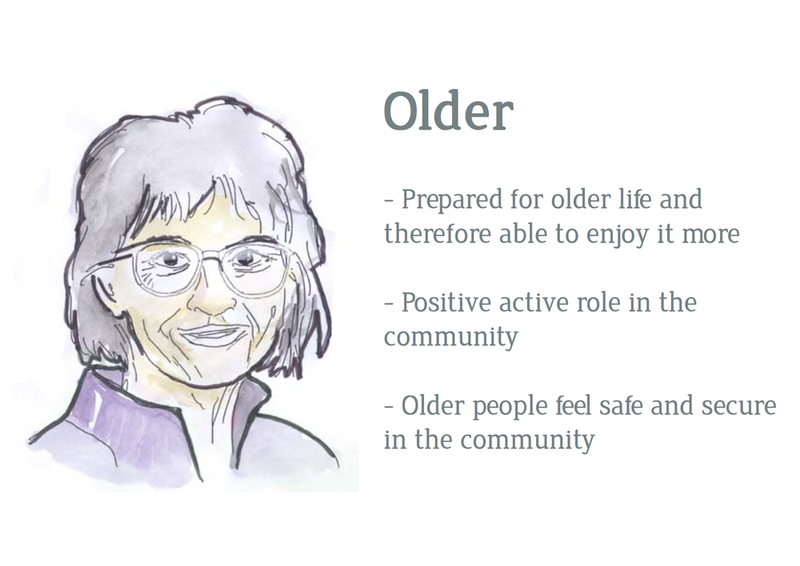 The idea is to create a partnership between schools and elderly community centres/projects, as a starting point to build values of respect and empathy in the community, as well as awareness of different health related issues. We effectively linked the idea in to current policy areas including curriculum for excellence, prevention, education and community development. In addition, the idea also links in to what currently exists locally and seeks to complement it by making enhancements.